"Blessed Lord, who hast caused all holy Scriptures to be written for our learning; grant that we may in such wise hear them, read, mark, learn, and inwardly digest them … "
Thomas Cranmer, seated in an Oxford cell before a plain wooden desk, weary from months of trial, interrogation, and imprisonment, tried to make sense of his life. Before him lay the speech he was to give the next morning, a speech that repudiated his writings that had denied Catholic teaching. Also before him was another speech, in which he declared the pope "Christ's enemy and antichrist." Cranmer has often been accused of waffling, if not hypocrisy, but the decision he made the next morning—as much as his most famous and lasting work, Book of Common Prayer—settled the matter of where he really stood on the Reformation. Cranmer was born 66 years earlier in Aslacton, Nottinghamshire. He attended Cambridge, became a fellow of Jesus College in 1510, and was ordained a priest. He threw himself into his studies, becoming an outstanding theologian, a man of immense, though not original, learning. In about 1520, he began joining other scholars who met regularly to discuss Luther's theological revolt on the Continent. Cranmer's reform leanings remained merely academic until he was drawn into the politics of the day. In August 1529, King Henry VIII happened to be in a neighborhood Cranmer was visiting, and he ended up conversing with the king. Henry had been trying to figure out how to divorce his first wife, Catherine of Aragon, in order to marry his new love, Anne Boleyn. The king, impressed with Cranmer's reasoning, commanded Cranmer to write a treatise backing the king's right to divorce and then made Cranmer one of his European ambassadors. In this capacity, Cranmer made a trip to Germany, where he met Lutheran reformer Andreas Osiander—and Osiander's niece, Margaret. Osiander's Reformed theology and his niece so appealed to Cranmer that, despite his priest's orders, he married her in 1532. Because of the complex political situation in England, however, he kept his marriage a secret for years. In August 1532, the aged archbishop of Canterbury died, and by March of the next year, Cranmer was consecrated as the new archbishop. Cranmer immediately declared the king's marriage to Catherine of Aragon void from the beginning; he then declared valid the marriage to Anne Boleyn (which had secretly taken place in January). Cranmer believed in royal absolutism, that his primary duty was to obey the king, God's chosen, to lead his nation and church. Time and again in Henry's rocky reign, Cranmer was ordered to support religious policies of which he personally disapproved, and he always obeyed the king. In 1536, he became convinced by rather dubious evidence that Anne had committed adultery, and he invalidated the marriage. In 1540, he ruled that Henry's proposed marriage to Anne of Cleves was lawful—and when Henry sought a divorce six months later, Cranmer approved it on the grounds that the original marriage was unlawful! But Cranmer wasn't a lackey. Time and again, Cranmer alone of all Henry's advisers pleaded for the lives of people who fell out of royal favor, like Sir Thomas More, Anne Boleyn, and Thomas Cromwell. He even publicly argued against Henry's Six Articles, designed to move the country back in a Catholic direction. But when the Six Articles were approved by Parliament, he went along with the king's policies. For his part, Henry intervened for Cranmer when court politics threatened Cranmer's position and life. And it was Cranmer for whom Henry asked on his deathbed. With the accession of Edward VI in 1547, Cranmer's time arrived. The young king's guardian, Edward Seymour, Duke of Somerset (and his successor, the Duke of Northumberland), began to make the Church of England decidedly Protestant. Cranmer took the chief role in directing doctrinal matters. In 1547 he published his Book of Homilies, which required clergy to preach sermons emphasizing Reformed doctrine. He composed the first Book of Common Prayer, only moderately Protestant, in 1549, followed in 1552 by a second that was more clearly Protestant. 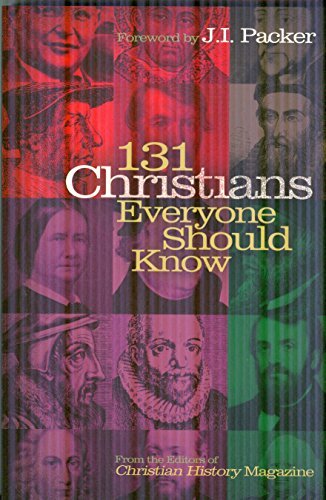 Cranmer also produced the Forty-Two Articles (1553), a set of doctrinal statements that moved the Church of England even further in a Reformed, Calvinist direction. "Blessed Lord, who hast caused all holy Scriptures to be written for our learning; grant that we may in such wise hear them, read, mark, learn, and inwardly digest them, that by patience and comfort of thy holy Word, we may embrace, and ever hold fast, the blessed hope of everlasting life, which thou hast given us in our Savior Jesus Christ. Amen." After Edward VI died in 1553, Cranmer supported Protestant Lady Jane Grey (great-niece of Henry VIII) as the new sovereign. But Lady Jane Grey was deposed within nine days, and Mary (Henry's devoutly Catholic daughter by Catherine of Aragon) triumphantly entered London. Immediately, Parliament repealed the acts of Henry VIII and Edward VI and reintroduced heresy laws. Mary's government began a relentless campaign against Protestants. Cranmer was charged with treason and imprisoned in November 1553. After spending nearly two years in prison, Cranmer was subjected to a long, tedious trial. The foregone verdict was reached in February 1556, and in a ceremony carefully designed to humiliate, Cranmer was degraded from his episcopal and priestly offices and handed over to be burned at the stake. A weary and depressed Cranmer, hoping to avoid the stake, was convinced that he should submit even to a Catholic sovereign and repudiate the Reformation. He signed a document that said, "I confess and believe in one, holy, catholic visible church; I recognize as its supreme head upon earth the bishop of Rome, pope and vicar of Christ, to whom all the faithful are bound subject." Still, the government believed Cranmer must be punished for the havoc he had wreaked. He would still be burned at the stake—after making one more profession of his Catholic faith. On the day of his execution, Cranmer was led into a church, and when it was his turn to speak, he drew out a piece of paper and began to read. He thanked the people for their prayers and then said, "I come to the great thing that troubleth my conscience more than any other thing that I ever said or did in my life." Referring to the recantations he had signed, he blurted out, "All such bills which I have written or signed with my own hand [are] untrue." Loud murmurs sped through the congregation, but Cranmer continued, "And as for the pope, I refuse him as Christ's enemy and antichrist, with all his false doctrine. And as for the sacrament—"
Cranmer was immediately dragged from the stage and out to the stake. The fire was kindled and quickly the flame leapt up. Cranmer stretched out his right arm and hand into the flame and held it there as he said, "This hand hath offended." Only once did he withdraw it to wipe his face, and then he returned it until it had burned to a stump. Praying, "Lord Jesus, receive my spirit!" he died. Within two years, Elizabeth I ascended the English throne and moved the church back in a Protestant direction, revising Cranmer's 42 Articles to 39, and adopting his Book of Common Prayer as the guide to worship. Today Anglicanism is the expression of faith for 51 million worldwide. It's not easy to take a balanced view of doctrines like predestination and Communion—but Cranmer did.